A future-focused vision for education recognises that today’s and tomorrow’s learner will face a very different future from generations past. The transition from the 20th to the 21st century ignited a significant shift in the world of education. The long-held notion that education can only occur in a bounded space with a clearly identified front, where all students are seated in desks and facing the blackboard is sinking beyond the horizon. A new dawn of Future Focused Learning Spaces is rising. Once, in a time past, school education could effectively prepare students for specific work-related skills. Essentially, mass-education of the last century mechanised school through age-based progression and subject segmentation. This resulted in teaching specific competencies with the intention to prepare students for a job-for-life. The youngest of students in school now will be in the workforce in the mid-to late 2030s. Demographers predict that they will have 5 careers and 17 jobs across their working life. With the pace of change constantly accelerating we cannot envisage the precise skills our current students will need, but rather, a range of competencies and broad skills that are adaptable and transferable. There are big global problems to solve, along with immense opportunities for diverse and stimulating careers. A future focused vision involves rethinking school design and the place of learning. 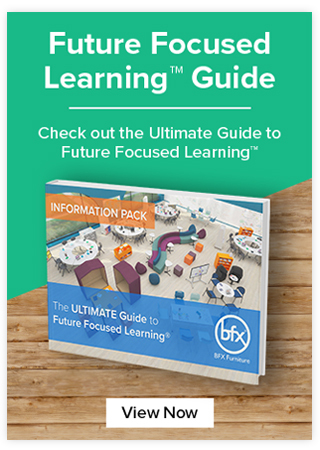 Future Focused Learning Spaces differ from traditional classrooms in that they have the potential to enable multi-modal learning, support a varied array of pedagogical activities and provide a more personalised experience for learners. For many schools, an inquiry approach, such as project-based learning (PBL), has provided the framework to support a learner-centred focus. PBL enables authentic inquiry, where students pursue big ideas, subjects can be integrated in a cross-disciplinary manner, and teachers can employ strategies that seek to engage the hearts and minds of every student. Approaches with an inquiry focus operate effectively within an environment where a variety of teaching and learning activities occur simultaneously. There may be small groups working with a teacher, some individually researching, some Skyping an international expert, while others collaborate on projects in small groups. Direct instruction was once considered the predominant role of the teacher, but now it becomes one tool, among many, that teachers are able to utilise to engage students. Inquiry learning and multi-modal approaches impact the design and arrangement of learning spaces significantly. 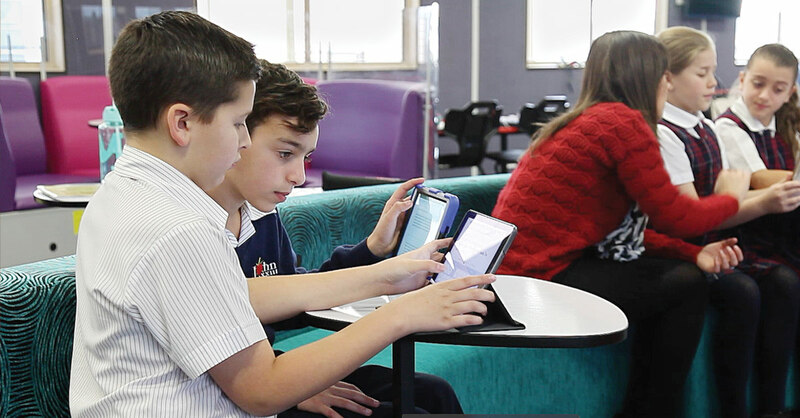 In the many schools I visit, the uniform classroom layout is being replaced by flexible learning spaces arranged in zones that enable students and teachers to work collaboratively while utilising a diverse range of teaching strategies. Some teachers creatively reimagine their more traditional classrooms to achieve a multi-modal approach with their existing furniture, technology and resources. Others have the opportunity to teach in new, purpose-built facilities where this has been embedded into the design from the very beginning. In addition, it is becoming increasingly common for multiple teachers and classes to co-locate, share resources and teacher expertise to provide a more wholistic learning environment for their students. However, significant professional development and support is required for teachers to successfully work in a team-based environment. Shifting the century-long mindset concerning the place of education, the role of the teacher and the design of the learning space requires communicating a vision for the future to the community and providing significant support for teachers. Overcoming barriers that may hinder this progress begins with the school leadership articulating a cohesive future focused vision to draw the community together and instill confidence in this new direction. Parents need be brought along the journey and feel that this change is going to better support their child and teachers need to feel supported as they learn how to adapt their teaching strategies to take advantage of future focused learning environments. In the learning design workshops that I facilitate, I encourage teachers to think about how to engage all learners, especially outliers and then identify the best pedagogical approaches, before considering the learning space itself. This is critical to ensuring the learning environment can effectively serve the learners and the learning. 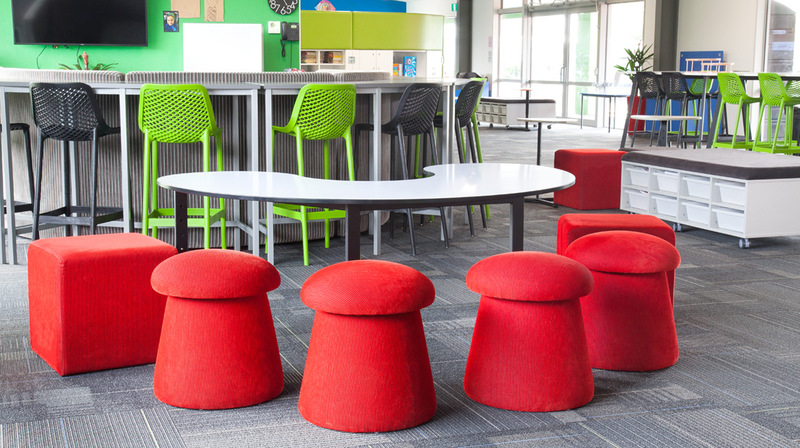 My workshops then strategically guide teachers and school leadership regarding decisions about the types of furniture, the layout and zones required for social and pedagogical purposes in the learning space. This is because the ongoing success of learning and teaching in these spaces is determined by ongoing thinking and planning by the co-teachers to nourish their team’s desired culture. As teachers consider the learning space from a multi-modal and multi-class perspective, it is helpful for them to understand how the space might be re-configured to better support different learning activities. For the last decade I have visited schools across the globe and have been able to track this shift in learning space design. I have seen school education strategically move away from teacher-directed, one-size-fits all approaches to the delivery of curriculum, toward being more attuned to the needs and interests of individual learners. As a result, the school experience is becoming more personal and differentiated, with a focus on designing learning for the growth and engagement of each student. The term ‘teachers as designers’ has signified a change in the role and thinking of the professional activities of educators. When designers apply these principles, firstly they consider the needs of the end-user, then they use empathy mapping techniques and observed experiences to identify points of disconnection. The designer then defines the problem, ideates, prototypes and then tests solutions. This process of design thinking is now applied to learning design. Teachers empathy map students, in particular, disengaged students and reframe the problems into ‘How might we…?’ questions, and then generate ideas to help shift mind-frames. Is there a mindset for transformation that recognises that today’s learners face a different and exciting future? Does your school culture embrace change as a normal and constant part of school life? How might the school adopt inquiry approaches to support future focused learning? What strategies do you need to support a culture of openness and collaboration amongst teaching teams? How might the design, furniture and layout support the vision for learning? What is the shared language and expectations that can be articulated? Do teachers see themselves as designers of learning or deliverers of curriculum? These questions may form a starting point as you reframe learning and spaces with a future focused vision in your school. 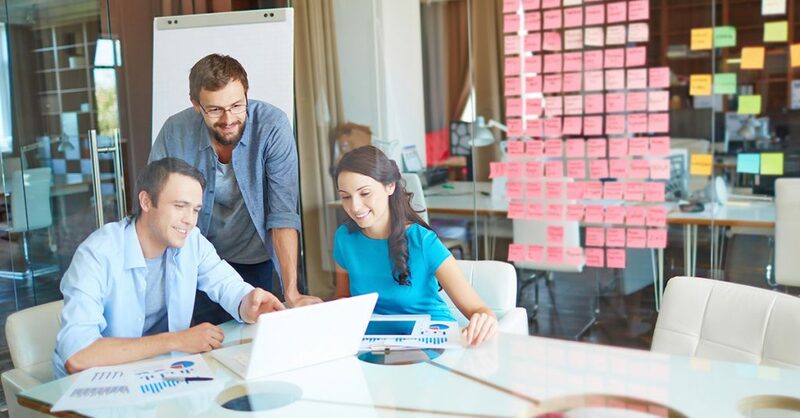 In a world of disruptive change, one thing remains constant, the reason behind the strategy always needs to be the learner, their future and providing the environment for them to flourish. Anne Knock commenced as a primary teacher in 1982, teaching in independent schools in Sydney for 17 years. During that time she completed post-graduate studies, gaining a M Ed (Special Education) from the University of Sydney. For eight years Anne held a role as Executive Officer for a school system in NSW, with responsibility for the state registration and accreditation of 30 schools. In 2018, Anne commenced as an independent consultant and speaker, after eight years working as director and consultant at Sydney Centre for Innovation in Learning. 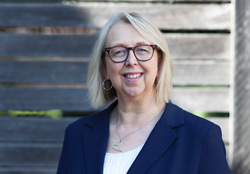 Anne works with schools, systems, education departments and other organisations on strategies for change, including equipping teachers for future focused learning, and the design of learning environments. Anne is also completing a PhD at the University of Melbourne, as part of the Innovative Learning Environments Teacher Change Project.